Book clubs are more fun with the whole family! Read as a family and join us for fun activities, crafts, and discussion. 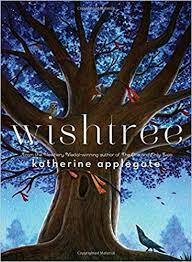 This session, we are reading Wishtree by Katherine Applegate. Grades K-6, with or without other family members. Pick up a copy at the Youth Services desk upon registration.